The Hotel Servigroup Orange Benidorm is located in a very vibrant part of Benidorm, it is pretty much in the centre of all the popular tourist attractions which makes it easy to get around. The hotel is very beautiful and the staff are very friendly. 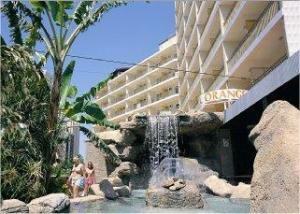 The hotel is located in Benidorm and just 250m away from the quietest and most inviting beach in the area, Levante Beach. 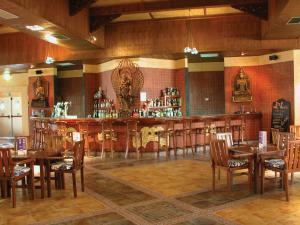 The restaurant, bars and lounges are all air conditioned. There is also a new pup/café known as the sanctuary. It has 247 rooms, all of which are air conditioned and heated, they all have a very spacious and clean bathroom. Satellite TV, Telephone, safe, and electric locks are all standard. All of the rooms except for single rooms have a balcony. All the rooms in the hotel is no smoking, the only place where smoking is allowed is in the sanctuary. If you’ve always wanted to learn to dance then now’s your chance, they offer free dance classes run by professional dancers. This is held at the sanctuary pub. The Orange hotel is well suited to many different types of people, families with young children would enjoy it, but also a group of friends would find it very relaxing. The staff are so helpful that they will do anything to make your stay enjoyable. The hotel Servigroup orange has a restaurant, sun terrace, swimming pool, children’s playground, panoramic lift, and plenty of entertainment. The sun terrace has a swimming pool which is suitable for adults who want to swim, and children who just want to splash about. There are also plenty of sun beds, and parasols. The children’s playground is a great way to keep your kids occupied if you don’t have enough energy to take them out anywhere. All of the staff will welcome you with open arms and give you a holiday that you will never forget. This hotel really will make your holiday an unforgettable experience. If you feel the need to work then you can get an internet connection in your room, but this should be a relaxing holiday! Forget about work! There are plenty of bars and clubs to choose from at night, or you can just sit by the swimming pool and watch the entertainment show which starts at about 7pm and carries on until midnight. The hotel is also conveniently located for many golf clubs, the closest golf club Villaitana is just 5km away. There are also plenty of other golf courses to choose from!